Things are changing, that’s no secret. SharePoint is here to stay, but at the same time the brand and things around it with Office 365 are going in a new, refreshing direction. Lucky enough to be a SharePoint MVP, I get to see some of these changes before they’re even out. But more interesting is the reaction from those on the IT Pro side of SharePoint. Some of the things we have seen so far is the arrival of Office Graph. Machine Learning on Office 365 that graph everything we do in Exchange, SharePoint and more (though not all of it is out yet) and tools like Delve to provide a personal search and discovery look into that content. Groups for Office 365, very similar to the concept of Team Sites, provides small teams with a way to quickly collaborate by having discussions, a shared calendar and a place to work on their group files. OneDrive for Business, being everything related to content, allows you to have a better mobility story. A video portal has just been released providing a very valuable asset to the Office 365 experience. Create channels and allow videos to be played for your users on multiple devices as well. There is no doubt that there is a lot more to come and things are going to change. Generally, it wouldn’t be a big deal as being in IT we expect things to be changing all the time. However, this time feels a little different and I can smell trouble stirring. From my perspective, it feels the change is so big for IT, that I find myself where I was when telling people about how folders were not as good as Metadata and they should be using that now. Talking to IT, it feels similar, but with the concept of “Cloud” and “Management & Control”. I obviously can’t speak for others, but listening to questions asked at conferences I sense a certain pattern. Some just won’t go to the cloud because it is the cloud without any reason, responses usually turn around security concerns. But many are ok with the cloud as long as it makes sense for them to go there and use it in their organization. What I keep hearing is the lack of management for Office 365 once they go there. They want to be able to control everything and prevent certain things from happening. There is also a need to customize everything and a general misunderstanding of what certain features are meant to do. For some organizations, it feels that IT and Business are growing apart. People in the organization want to get stuff done and are becoming accustomed to a certain level of experience with technology. Today, while IT debates on how to manage and block how they work, they have already configured salesforce, dropbox, Trello and in some cases private Facebook Groups to do what they need. It is way too easy to start using new services that bring value to them and today these are all cloud services that may even be less secure than Microsoft’s own Office 365. That being said, IT seems to forget that SharePoint On-Premises is still here and a new release has been announced. So there should be no worry on what they can do with SharePoint in the future. You can and will still be able to do everything you were doing for those “enterprise” scenarios. I’ve put it in quotes because I feel many are using that word like a buzz word of the year. SharePoint has established itself as a very strong “enterprise” platform and provides some very robust features that allow IT to manage and control what they need. However, there is still a very large audience in businesses going out and using other tools. Not only is this bad for the organization that loses control anyway, but also for Microsoft in the long run. It’s time for change, not only for us but also for Microsoft as a company. And I feel they are definitely doing a great job turning their big ship around so quickly. No one is perfect and yes, there is room for improvement in some of the things we are seeing come out. However, I feel that what we are seeing on Office 365 is exactly what’s needed to keep Microsoft in top position of this changing market. People in organizations also need to be able to quickly and easily create content, access it on mobile devices and consume it. 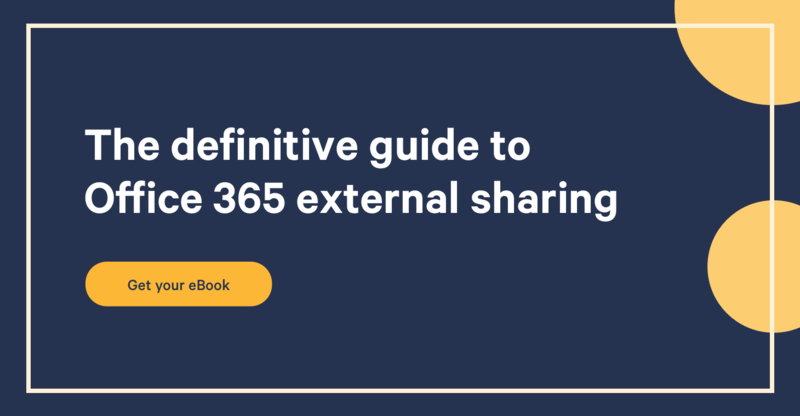 Having Office 365 alongside your big “enterprise” SharePoint environment On-Premises and Online allows both the management and control to exist, but also the flexibility users are seeking when working. I find Bill Baer, Senior Product Marketing Manager at Microsoft, said it very well in his post SharePoint IT is Evolving. So yes, SharePoint on Office 365 is changing and new things are coming out like Delve, Video Portal, Groups that may seem scary at first from an IT perspective since it doesn’t have the same level of “management” some have come to expect. However, it doesn’t mean your “regular” SharePoint is going to see its core features disappear. But in an effort to provide a competitive advantage to its millions of customers, Microsoft is offering a very strong Office 365 Collaboration solution that more and more integrates seamlessly with your own in a hybrid scenario. It’s a good time to step back and look at everything going on, both in our market and in your own organization. Things need to change and will change, this year will be very exciting for all of us in IT and the general technology field that is evolving.